They seem to have it all. Red carpet events. Dream roles in hot television series and buzzworthy movies. Number one hits and sold out concert tours. Loyal fans that help skyrocket their careers to new heights. Talk to anyone in the business, and they'll tell you how hard actors, musicians and anyone in entertainment works to just "make it." Few are fortunate enough to break through and reach stardom. So when fame finally comes, many find it came at a cost. 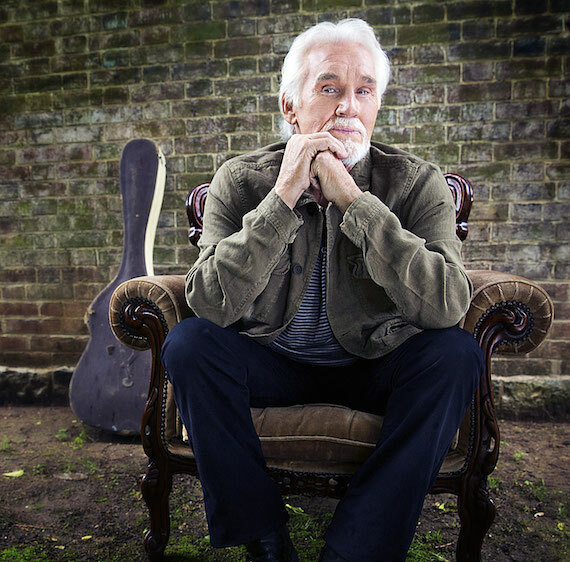 Kenny Rogers: "I don't know where I'd be today." "I have two older adult boys and when I was married before, I put myself and my career ahead of my family," shared Kenny. "I don't know where I'd be today if I hadn't done that, but I do wish I'd been there for my boys. They are dependable, they are very good at what they do and they are wonderful men, so I guess that's all a father can ask." "My youngest boys are now eleven. They're a handful, but they're good boys. They go to church with their grandparents sometimes when I'm on the road, and it's a church that invites people to go up there and sing. They invited Justin and Jordan up and they start singing one of the lines from my song, Love Or Something Like It: "Show me a bar with a good looking woman." I thought it was highly inappropriate, but the people thought it was funny." "You come to a certain point in your life where it's not about you anymore and, for me, it's about my wife and my boys. I want to be able to do things with them and for them so when I'm gone, they can look back and remember the time we were together and how cool those things we were able to experience together were." "My bucket list now concerns my kids. There are things I'd like to do with them so I'm putting work on the back burner for a while and really making them my priority. They want to go to Europe, so I'm going to take them to Europe, and I want to take them to Alaska for the salmon run because it is so special. These are things I've done that I know I've enjoyed, and I want them to experience them, too." Daniel Baldwin: "Alec wanted nothing to do with me for 20 years." "I will always regret not getting sober earlier in my life," shared Daniel. "It has cost me my relationship with my eldest daughter Kahlea and forced my older brother Alec to want nothing to do with me for 20 years. I feel so blessed to be back on speaking terms my big brother now. He was my hero growing up." Alysia Reiner: "I was afraid of what it would do to my career." "My biggest regret is not having a child earlier," shared Alysia. "I was afraid of what it would do to my career. But my daughter has brought me more joy than any job, any award, or any achievement ever could. And the irony is I have never worked more. This feeling is something we really wanted to explore with my new film, Equity, that just screened at Sundance." When I first asked celebrities about their biggest regrets, I wasn't sure if there would be similarities between their regrets and those of everyday people who answered the same questions featured in my Secret Regrets book series (the book series is based on the Secret Regrets project, where more than 50,000 people have anonymously shared their secret regrets). Ironically, putting family first and making decisions now to avoid hurting those you love (which prevents future regret) is a common theme from both groups. I think the big takeaway from all this is that in life, we all have goals to aspire to. But we are never alone in pursuing what is important to us. We should all be more supportive and encouraging of each other in all aspects of our life. Sometimes that means sacrificing something that's important to us for the good of others. If we want the love, respect, and support from those we love, we need to be willing to give it. By doing this, we will have fewer actions in life that have regrettable costs, and more reasons to celebrate true success and happiness. For the celebrities that shared their regrets here, each had the courage not only to acknowledge the true cost of their regret -- a true cost of their fame -- but to take action and do something about it. We can't change our past, but we can change how we act today and tomorrow, showing those around us and ourselves that we are different. We are better. We are not the same person we were yesterday. Learn more about the Secret Regrets book series, the Secret Regrets project, or anonymously post your own regret at SecretRegrets.com.